Perhaps like many readers, I confess to feeling alternately compelled and repelled by the unceasing deluge of Brexit-related discussions on the radio. As I don’t have a TV, I am spared the visuals unless I hunt them out online. Rather belatedly, I decided to explore the actual chart for Brexit – set for two years on from March 29th 2016, when the UK Government invoked ‘Article 50’, the commitment to leave the EU. At first glance, it looks to me like nobody in the Government or TPTB (‘The Powers That Be’) who made this decision back in 2016 had an astrologer on board! Truly. Of course, perhaps they did, but got one who deliberately or accidentally aligned this move with the ‘wrecking ball politics’ which is daily evident in various places across the planet. Naming no names, of course. And perhaps sometimes this is indeed ‘all in a good cause’. Or so some might say. Brexit: March 29th 2019; 23.00 GMT; Westminster, UK. 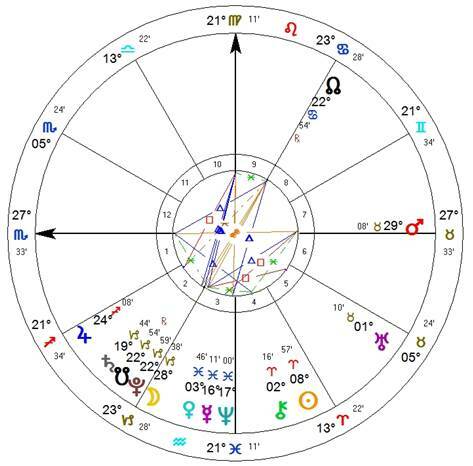 In the chart above for Brexit (‘B-Day’), ruler of the Ascendant is Mars, in detriment (undignified?) in Taurus and in the 7th house of ‘The Other’, here perhaps representing the EU itself, also 'undignified'! So Britain’s sense of ‘me/us’, identity, momentum, vitality and initiative is ‘over there’, also conjunct the fixed star Alcyone in the asterism of the Pleiades, the ‘Weeping Sisters’. Oh dear. Mars weeping in the house of ‘the open enemy’. Very undignified. Anthony Louis has this to say: “Whatever the reason, your significator’s conjunction with Alcyone will give you something to cry about.”(i) A trine to this Mars is the final aspect made by the Moon (also in detriment, in Capricorn) before going VOC, and it occurs less than 2hr before the time changes from GMT to BST (at 02.00am on March 30th)! Brexit falls through the hole in the calendar and disappears, or something? Or a gap in time itself? Perhaps symbolising ‘going over the cliff’, a phrase that I keep hearing about this Brexit date. Like, Brexit maybe exits! This Mars in the 7th house is the only planet ‘above’ the horizon, and barely so. If this was the horoscope of a person, I’d be wondering whether they took their sense of ‘me-ness’ ( Asc) from getting into ‘unwinnable battles’ (Mars in detriment) with other people (Mars in 7th house)! Frequent murmurings now from various government sources about the need to delay Brexit. To 'exit Brexit', as mentioned above? And/or to 'go to the people' with another referendum? At 16.13 GMT John Bercow ('Speaker of the House') has all but blocked the vote! Leaving postponement as the likely sole option remaining. Astrologer Liz Rooke reports that at 18.10 GMT the BBC correspondent used the precise (Pholus!) phrase 'The Lid Comes Off' to describe the day's goings-on!! And that the current Chiron-Pholus square, being almost exact, is activating Pholus in the UK 1801 chart (03°AR07'). Good catch! She also points out that the next Progressed New Moon of this chart occurs in August 2021 (16°LE26'), and that the previous one (December 1991, Cancer) occurred just before the Maastricht Treaty. March 29th date nixxed! Alternatives proposed are May 22nd or April 12th, still subject to voting on a complex fistful of (non?) options next week. May 21st is the day of the Sun-Mercury conjunction, so there 'outworking' of the current Mercury Rx cycle. May 22nd, both Sun and Mercury pass over Theresa May's South Node in Gemini. And the forthcoming station of Mercury (March 28th) is very close to conjunct her Mars in Pisces. Increasingly, there are call for her to step down. Here ‘We The People of the UK’, symbolised by the Moon in Capricorn, are feeling ‘detrimented’, oppressed and depressed, almost ‘at our wits end’. Moon is in the 3rd house (of 'wits'?! ), almost VOC (Void of Course), but applying to trine Mars. So will mass anger arise? Riots? Troops to the people? I think not, as the Moon applies to Mars, not the other way around. Will ‘The People’ apply pressure or persuasion (3rd house) to the Brexit initiative itself? This Mars is actually ruled by Venus in Pisces, one of two planets in the chart which are in exaltation. How might this show? Water cannons (Pisces) dispersing rioters in the streets? Surely not? But if Mars is placed in peace-seeking Taurus and gets riled up, the advice is … “Run for cover!”! Will the EU (‘The Other’) take pity (Venus in Pisces) and grant the UK an extension? Tranquillize (Pisces) ‘The Bull’ (Mars in Taurus) and drag it quietly away? MAJOR public march and demonstration has been called for March 23rd, noon, Central London. This is to demand another referendum ... Venus is in Aquarius (the 'People'), ruling over Uranus and Mars in Taurus; also ruling the IC. The 'outcome of the matter'. Very interesting, and perhaps indicating the hope that 'noble intentions' (Venus in Aquarius) will overcome the energies of anger and divisiveness (Mars and Uranus)? That day, the Moon will be 'fallen' in Scorpio, in the 4th house. No doubt there will be strong emotions expressed in one way or another. Mercury is Retrograde, applying to a conjunction with Neptune. Confusion? Tear gas? I did hear an interview on Radio 4 which clearly portrayed this Venus/Mars theme. An EU spokeswoman with a smooth soft voice and manner was describing how the EU are ‘really open’ (Venus in Pisces) and the UK must learn to trust them, and not be stubborn, aggressive and mistrusting (Mars in Taurus). I was delighted! A metalogue of the chart! (ii) So will the 'kindly, open' EU (Venus in Pisces) win over the stubborn Bull (Mars in Taurus)? This Mars also completes a T-square, with partile aspects to Theresa May’s Saturn-Pluto square. (iii) The poor woman is personifying these MA-SA-PL energies. Imagine what scenarios, even worse, could be happening if she wasn’t doing this ‘dirty job’. Donald Tusk, President of the EU, has greeted the latest development concerning the Irish 'backstop' and the request for re-negotiation of it, with a resounding refusal. How is that we have two Donalds, presiding over the USA and the EU respectively, both entrenched in stubbornness? And the surnames of 'Trump(et)' and 'Tusk'? I can't help wondering who/what is really the proverbial 'elephant in the room'? In the current 'metalogue' both seem to be portraying the impending Saturn-Pluto conjunction: unstoppable force vs immovable object. The last time that Pluto was conjunct the South Node in Capricorn was in 1777! (The USA chart [Declaration of Independence, 4.7.1776, 17.10, Philadelphia] has Pluto-South Node applying by 10°, across Capricorn and Aquarius. On 11th November 1777, the 'Articles of Confederation' were adopted (after 16 months of deliberation, according to this link). Remind you of anything? The Capricorn planets, like so many goats nibbling around the old, cold, dry South Node, Mean or True, make me think of ‘history repeating itself’. What comes first to mind is this: during the last Saturn-Pluto conjunction, we also had a female Prime Minister who, like Theresa May, has the Sun in Libra - Margaret Thatcher. Can’t help wondering what ‘The Iron Lady’ (Mars again!) might have done with this Brexit situation. Find another ‘good reason’ to go to war in a far-flung place so as to become the “Victor-ess” and wave the Union Jack over freshly conquered territory, as she did with the Falklands War? In Venezuela, the recent crisis now threatens to invoke 'direct action' by the USA. Another strange parallel, in that South America is involved again. Trouble over remote islands again, as above, But this time it's the Chagos Islands. UK challenged to relinquish 'illegal' control. The islanders, all of whom were evacuated to make way for a huge US military base, still want to return. The Argentinian ship ‘Belgrano’(v) was torpedoed and sunk on May 2nd 1982, almost exactly six months before the one-time conjunction of Saturn and Pluto. (vi) About six weeks after this, Prince William was born. In a curious parallel, Meghan Markle is currently pregnant, with due date for the next Royal Birth stated variously as April/May, shortly after B-Day! August 2019 is six months prior to the next Saturn-Pluto conjunction, another ‘one-timer’, on January 12th 2020 at 16.59 GMT. What kind of ‘marker’ will August reveal in the Brexit process? ‘Foreign’ ships beware. Where might ‘We the People’ be at by then? And who will be our leader(s)? This new Jupiter-Saturn cycle begins shortly after the next US elections. Will it herald an entirely new set of social/cultural/economic/political trends firming up, being made real? This Aquarian emphasis on ‘group consciousness’ (for good or ill) will last about 20 years, until the next JU-SA conjunction on October 31st 2040 (Halloween, 17°55' Libra). Jupiter is the ‘esoteric ruler’ of Aquarius in the Bailey system, encouraging us in the direction of inclusiveness and generosity, being clear enough to be able to engage both the Saturnian energies of ‘preservation’ and the Uranian energies of ‘revolution’. The ‘war’ between 'old' and 'new' gives way to a higher synthesis, opening up a welcome sense of spaciousness after the contracted quality of the current and on-going Capricorn emphasis, with its polarity of Uranian reactiveness. May the understanding that ‘politics’ reflects our own ‘lowest common denominator’ encourage us as we attend to our own inner polarisations which tend to project one side ‘outwards’, and then to cast blame and make negative judgements. May compassion and inclusiveness become our 'default position'. Although the next elections in Britain are not due until May 5th 2022, there are various possible (likely?) scenarios which could lead to an early election. But failing those, the May 2022 elections will surely be the end of the reign of the ‘May Queen’ (Theresa May). A while back, when I noticed that Donald Trump and Boris Johnson both have their Suns conjunct in the sign of Gemini, I didn’t know whether to laugh or cry! The mythic image of the ‘American Twins’ (both born in NY state) ruling over the USA and the UK respectively is truly beyond contemplation, and mercifully is unlikely to happen. However, I did relish the comedic fantasy of the ‘Heavenly (or ‘Hellish’?) Twins’ competing (like Castor and Pollux) as to whose ‘Big Top’ is the biggest. (Pun intended – circus tent and hair.) This would be seriously not funny. For me, perhaps the worst thing about these two is that they are both bringing my very own Sun-Sign into disrepute. Perhaps I should sue them. On those grounds. Speaking of the Sun, in the Brexit chart it is exalted in Aries, in the 4th house, and virtually unaspected apart from a wide conjunction with Chiron, also in Aries. Curiously, a similar pattern occurs in the chart of Queen Elisabeth II! Her Sun in Taurus is unaspected, apart from a (close) conjunction with Chiron in late Aries. What on earth might this mean? Yesterday the Queen made a speech which has been interpreted by some people to indicate that she has 'joined the debate'. Others wish she would. This has raised controversy! Breaking! Evacuation plans (from Cold War days) for the Queen have been re-activated. Fear meme alert: "Mother is in danger!" In the Brexit chart, the Sun (‘The King’ or ‘The Monarch’) sits in quiet exaltation, at home, in the 4th house. “She rules by not ruling”, perhaps pained (Chiron) by the Brexit ‘goings-on’, but usually retaining scrupulous decorum and impartiality in public. Indeed, the ‘Aries’ signature is very interesting in the charts of the Royals. Queen Elizabeth I and II, and Prince Philip, consort to the Queen all have Chiron in Aries. Chiron will reach its aphelion degree of 11°55 Aries on 27.5.2021. This degree area resonates through many of the Royals: Prince Philip – Chiron, Prince Charles – MC, Prince William – Pholus. Plus Prince Charles also has the signature of Chiron conjunct Sun (in Scorpio!) not really aspected to the rest of the chart. So “Who shall be King and when”? Salutations to Astrology, which gifts us with the vision of amusing, quirky, heart-rending, interesting and sometimes puzzling connections between the disparate and often chaotic elements which make up this life in which we find ourselves! i) Anthony Louis, “Horary Astrology” (1991), Llewellyn Publications, St. Paul, MN., p.293. ii) From Gregory Bateson, meaning “That which we speaking about is also arising”. See "Mind and Nature" (1980). The radio programme was on BBC Radio 4, an early morning newscast, possibly 23.1.2019.
iv) Taken from the ‘prelude’ date when Mercury passes the degree at which it will later Station Direct, until the ‘afterlude’ date when Mercury passes again the same degree at which it was Station Retrograde. v) The Belgrano, formerly owned by the US Navy, was sold to Argentina and renamed in October 1951. She had survived Pearl Harbour unscathed, but in 1956 accidentally rammed a sister ship, causing damage to both. (Wikipedia). Sounds like Brexit to me! vii) Chiron, Chariklo, Pholus and Nessus used.